This silvery cream polished marble with hints of beige is unique and popular choice for stone flooring. 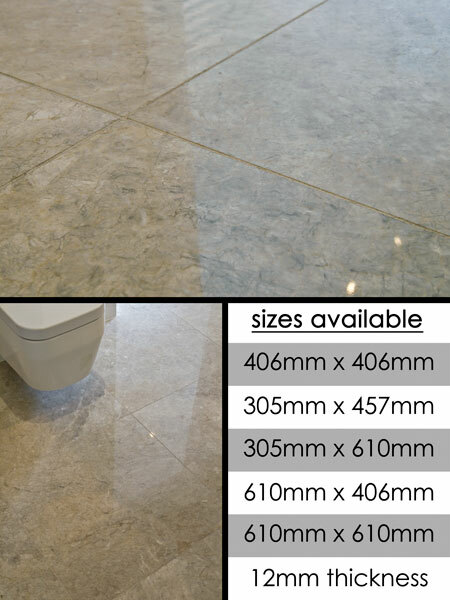 These polished marble tiles are extremely hard and is a hard wearing choice for both domestic and commercial situations. * High polished marble tile. * Suitable for floor or walls. * Silvery/cream with beige colouring. * Contemporary styled stone floor. * Suitable domestic & commercial. * 5 x marble tile sizes. * Marble tiles priced per m2.